With Singapore Airlines having recently launched its blockchain-based digital wallet (KrisPay) for frequent customers, it shows that the technology stands to radically transform traditional loyalty programs, making them more useful, accessible and cost-effective for both brands and customers alike. So how is Blockchain increasing customer loyalty and revitalizing traditional rewards programs? 1. Blockchain introduces cost-cutting efficiencies, including cutting out high customer acquisition costs for brands. 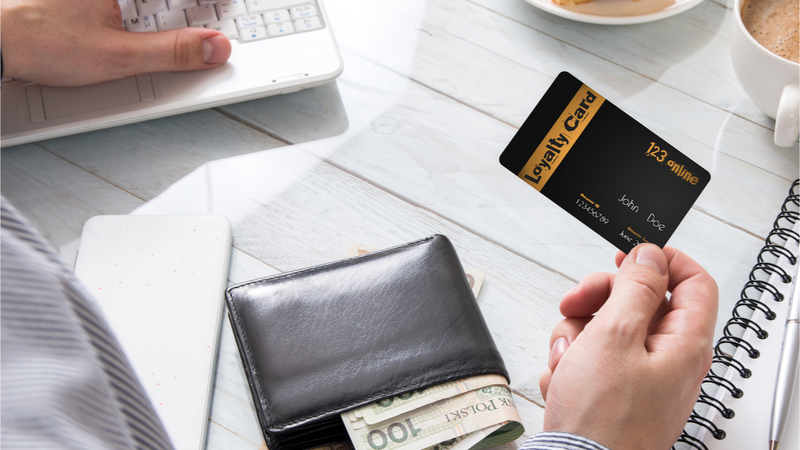 From the technical implementation right through to the costs of the rewards themselves, loyalty programs can be both expensive and tedious to set up, and demand a significant investment of time and money. Transaction costs related to the issuance and redemption of reward tokens are much lower on the Blockchain since they do not require a third-party. Blockchain also significantly reduces system management costs, thanks to smart contracts that automate processes, all while reducing costs related to instances of error. On top of this, brands themselves benefit from having access to an ecosystem of already loyal customers, which again reduces acquisition costs. 2. Blockchain encourages increased customer engagement and points redemption. Loyalty programs are not only difficult to set up, but it is difficult for brands to attract new customers by means of a loyalty program. Blockchain is flipping this on its head by introducing loyalty at the start of the customer journey, as opposed to at the point of purchase. In other words, loyalty points are no longer an afterthought when they can be exchanged within the brand, with other brands, or for cryptocurrencies or fiat. Better still, the potential for loyalty points to rise in value and get the customer more attractive rewards creates excitement that was never before a part of the loyalty program experience. Customers are also then driven to check their loyalty programs more frequently since the reward options are more varied, thanks to an ecosystem connecting different programs. 3. Blockchain increases security and therefore encourages loyalty. All transactions recorded on the Blockchain are cryptographically secured, meaning that participants of the network have their own private keys (akin to their own personal digital signature). Blockchain’s immutable and tamper-proof nature also means that every transaction is traceable, which eliminates the potential for fraud or other misuses of the system (which is, again, connected to costs). Additionally, as there is no single point of failure, customers no longer have to worry about the storage of their private data with large retail companies. On the Blockchain, data is stored across the network, which makes it inaccessible via a single entry point. All of these features make customers more comfortable with sharing their details, as well as executing transactions on the Blockchain. 4. Blockchain offers a one-stop shop for customers to collect and redeem points. Customers often suffer from ‘loyalty program fatigue’ due to the vast number of programs available, which subsequently leads to loyalty program inactivity. Blockchain provides a frictionless system, whereby customers can conveniently store all of their collected points in a digital wallet and use the same to make transactions, therefore encouraging engagement. Blockchain also connects different owners of loyalty programs and makes the points they distribute interoperable: customers no longer have to keep track of dozens of different programs and can do so from their respective wallets. Customers can also exchange their loyalty points with other users, which again increases their utility. 5. Blockchain offers real value outside of the brand context. Customers often complain about the lack of reward options available with loyalty programs, and along with the lack of cohesiveness it’s easy to see why customers would abandon their loyalty programs. With Blockchain, tokens that brands give out are tied to other digital assets which renders them valuable in another sense: customers are no longer forced to spend their loyalty points with a specific brand, or even other brands within the ecosystem, as they can choose to sell their tokens for fiat and spend the money in the real world! More importantly, these tokens can rise in value without any further investment from the customer. In conclusion, Blockchain’s merits are manifold and effective for tackling the loyalty market’s inherent issues: for brands, Blockchain significantly reduces costs, tackles security issues, and increases customer engagement, while for customers, this means a convenient use of different loyalty programs in one go while profiting from a myriad of redemption options, which ensures that they will stick around in the long run. Gabriele Giancola is the Co-founder and Chief Executive Officer of qiibee, the Swiss loyalty token protocol helping brands around the world run their loyalty programs on the Blockchain. A serial entrepreneur, Gabriele has co-founded multiple companies including gratis-auto.ch, a start-up focused on mobile outdoor advertising, and a mining farm with around 60 miners.